Today we were contacted by the lovely guys over at Photographydegree.com who wanted to draw our attention to the fantastic infographic that they have created. The data rich graphic communicates all the basics of choosing a camera, what to look for and how to get certain effects. 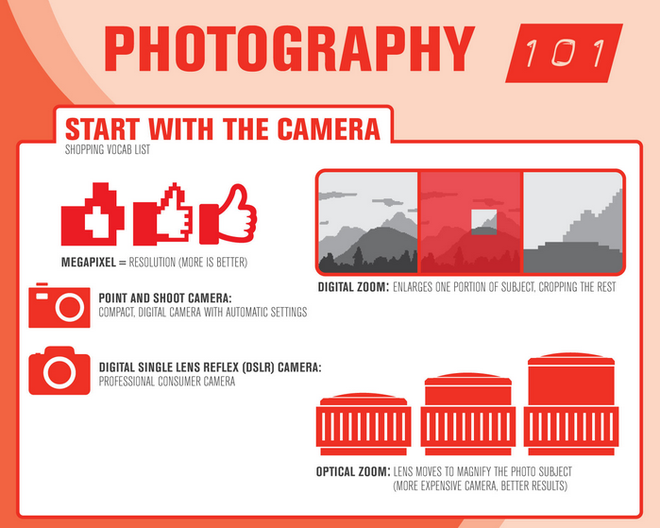 It is a lovely depiction of information that has been simplified so that even the most amateur photographers amongst us are able to digest it in a way that is not too daunting.